It’s time for a #SAVEITSUNDAY post! So. 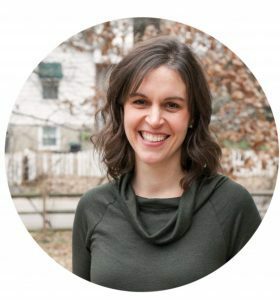 Last month, I shared a couple of food storage methods I was going to try out, and I’m here to report on how that went. It is truly astounding how much longer berries keep after a vinegar rinse. Even things like raspberries and blackberries stay firm and fresh for days upon days. And they don’t taste a thing like vinegar, either. To do this, mix up 3 cups of water and a cup of vinegar (fortunately, vinegar is dirt cheap, so this is an inexpensive fruit wash.). 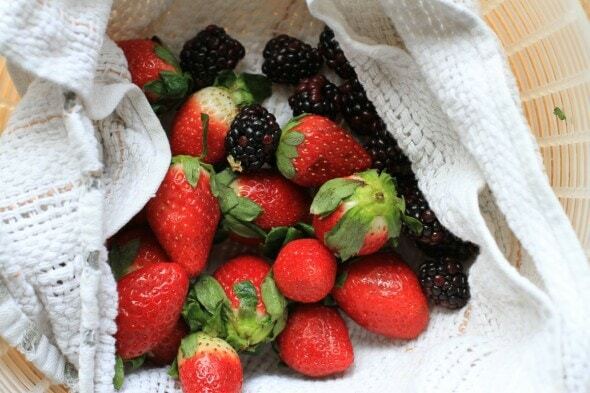 Give the berries a quick soak. 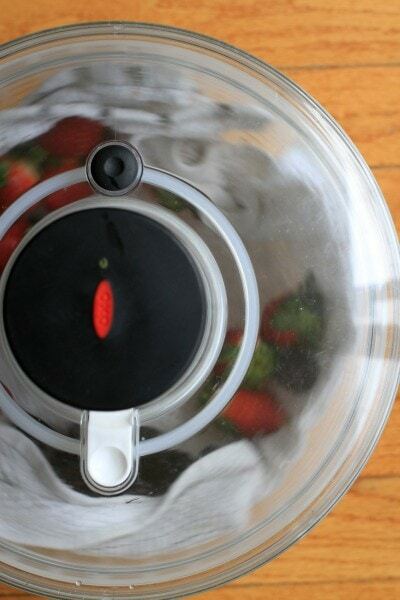 Drain the berries and place them in a salad spinner lined with a tea towel (the original directions said to use a paper towel, which is compostable, but hey, I like to avoid waste when I can!). And place them back into their original container (or, if you were lucky enough to buy berries without a package, you can put them into a GladWare or another reusable storage container. I wouldn’t seal them, though, as berries do best if they can breathe.). Remember the broccoli bag I was poking holes in last month, so broccoli would keep longer? I sort of accidentally gave that a really, really good test. 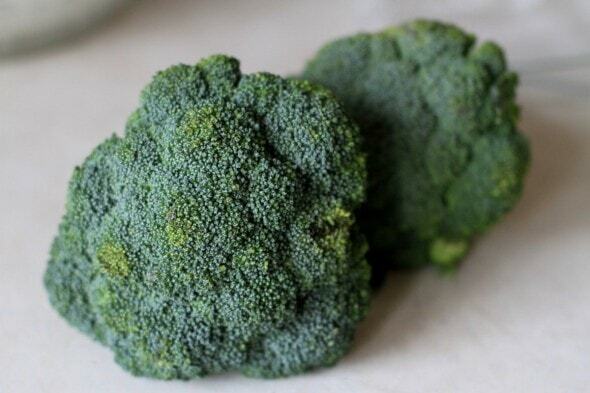 The broccoli sat in my fridge for, um, an entire month. And I am pleased to say that it was only slightly worse for the wear. I’m super impressed with how well this worked. Although I don’t really recommend that you store broccoli for a month if you can help it. I rinsed my bag out, hung it up to dry, and I’ll definitely use it again next time. I decided to make some soup with my elderly broccoli, and happily, the recipe called for using the stalks, which is nice and not wasteful. You saute the chopped stalks and the florets along with onion, garlic, and some spices. Then you add some water and baking soda (to help tame the sulfury flavor broccoli sometimes has), cook the broccoli for 20 minutes, and add chicken broth and some baby spinach. Unfortunately, I didn’t have any baby spinach, so I used what I had in the fridge, which was a baby greens mix. 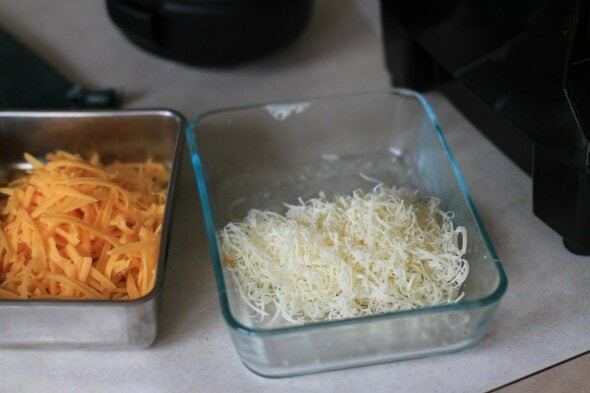 Anyway, after the spinach (err, greens) are wilted, you throw the whole mess in the food processor along with shredded Parmesan and cheddar. 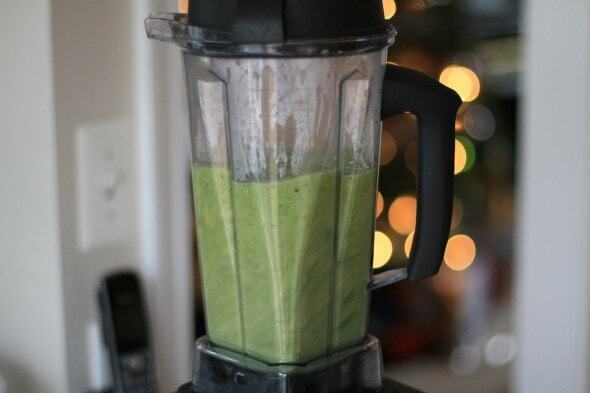 I have to admit, I was kind of skeptical about how this would taste, if only because of the very, very green color. But I was very pleasantly surprised when I took a spoonful…this is a soup that tastes like more than the sum of its parts, and it has a very mild broccoli flavor. And I like that it uses broccoli stalks (no waste!) and chicken broth (which is one of my favorite no-waste frugal things to make!). The last storage tip I was going to try involved wrapped wrapping a teeny bit of plastic wrap around the top of bananas, and I did buy a bunch from the store that came that way. However, I haven’t done a scientific side-by-side sort of test yet, so my report on that will have to wait. Here’s the soup recipe! 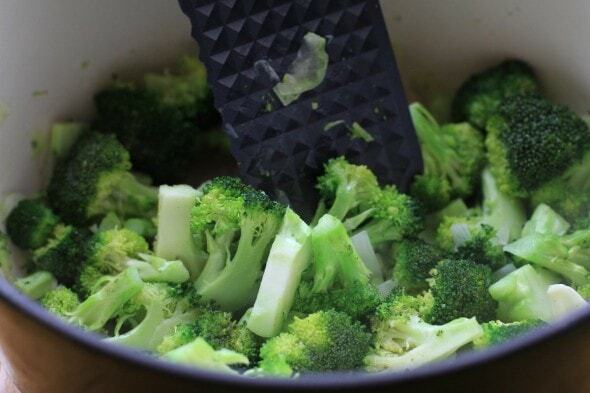 But don’t feel like you need to keep your broccoli for a month before you make a batch. Melt butter over medium heat in Dutch oven. Add broccoli, onion, garlic, mustard powder, cayenne pepper, and salt. Saute for about six minutes. Add baking soda and one cup water. Cover and simmer for 20 minutes, stirring twice. Add chicken broth and two cups water; bring to simmer and add baby spinach. Cook for about a minute, or until spinach is wilted. 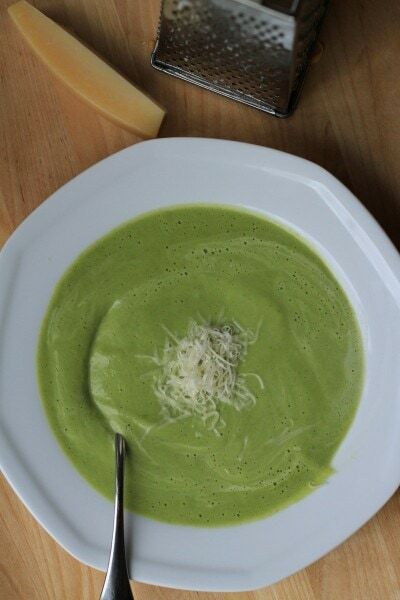 Ladle half of broccoli mixture into blender and add cheeses. Blend until smooth and return to pot. Blend remaining broccoli mixture, add to pot, season to taste with salt and pepper, and heat to desired serving temperature. If you haven’t already, join me and over 9000 other people by taking the #SAVEITSUNDAY pledge. And take advantage of Glad’s food protection pointers to help you keep your pledge. I’m part of the blogger panel for #SAVEITSUNDAY, so this post is sponsored by Glad. However, my enthusiasm for the topic of food waste predates this program by over five years, and all text and photos are mine. That’s really good to know about the berries. I’ve read that rinsing fruit and veg in vinegar also can get rid of pesticide residue, so that’s another good thing about using it, especially because berries are on the Dirty Dozen list. 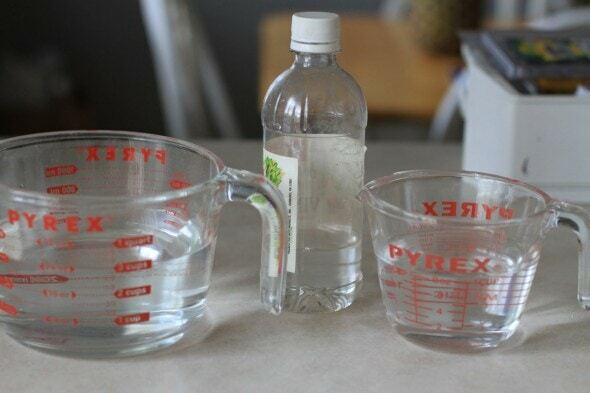 Actually, vinegar is not any more effective against pesticide residue than is water. 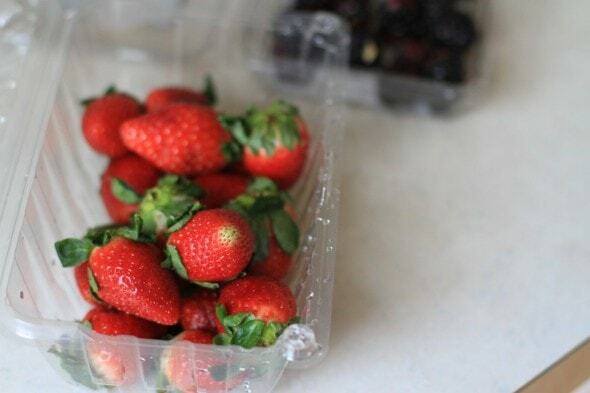 The reason that berries are on the Dirty Dozen list isn’t just that they’re so heavily sprayed, but that the pesticides are so easily absorbed through the skin, especially with strawberries. It’s really best to buy organic berries if at all possible. It’s my job to know this, so you can trust me on this one. However, vinegar is an antibacterial agent, so rinsing the berries in this vinegar wash will help kill any surface bacteria from wastes or being handled with germy hands during picking/packing. I hadn’t heard about vinegar helping to keep berries fresh, so I’m excited about trying this tip. I have gotten away from rinsing my fruit and veggies with vinegar. Since berries always wilt a bit when wet, I never thought to wash them in vinegar with the rest of my fruit. I’ll hafta give it a try now. Can the vinegar wash be used on other fruits? Like apples, oranges and bananas? Also what about vegetable ? Thank you. I think you could use it on whatever you want, but oranges and bananas have such thick skins, they’re not very prone to rot like berries. I also don’t usually have trouble with apples growing mold. Tomatoes could be a good candidate, though. I use vinegar wash on all produce that I don’t peel. 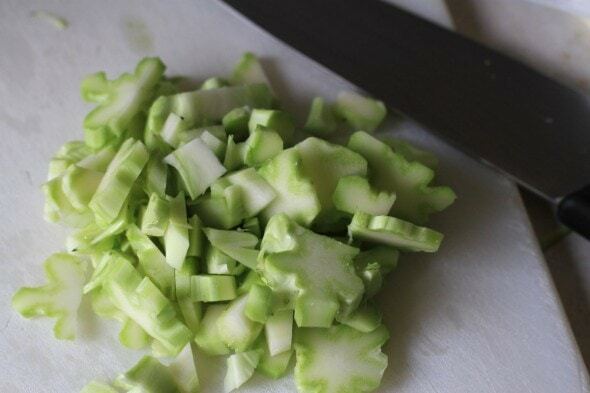 There are those who recommend washing produce you cut, such as melons, so the knife doesn’t drag bacteria into the flesh but I think that’s alarmist: even in countries where the advice is “Don’t eat anything you didn’t peel or cut yourself” don’t warn about knife-dragged bacteria. What if you don’t have a salad spinner? I assume that is just to get the berries dry; can you just pat them down with the towel? Yep, you could certainly do that. And to make sure they’re dry, you could leave them out in the air for a bit. Awesome! I get SO bummed at losing pricey produce. I’m gonna get huge cartons of berries from Costco willy-nilly now. My husband usually leaves berries for me and the kids since we love the and only get 2 days or so a week on’em. I will be buying enough for the week. You mentioned rinsing, drying, and reusing your holey broccoli bag. I have reused bags this way for years but recently learned from an experienced farmer’s wife that I can reuse the wax bags cereal comes in. I simply shake out the dry cereal crumbs, no washing and drying necessary. I roll down the top and clip them with a clothes pin or add a bit of tape. They are nice and sturdy and since I have new ones coming in fairly regularly I usually don’t need to reuse them twice which means I’m not drying bags all over my kitchen anymore. I use cereal bags for the bread that I bake. Only place in bag when cold though. Really keeps the bread good. I haven’t heard of this tip before. Thanks for testing it out I will have to try it out. Once berries are back in season in Wisconsin that is. Unfortunatley the broccoli link didn’t seem to work. Can you repost that info? Also, I’ve been trying to find a way to keep my cucumbers fresher longer as they always seem to get soft and slimey before I can use them up (in less than a week!) Any tips for fresh cucumbers? My sister separates her bananas to make them last longer. I guess they put off a gas that speeds the ripening process, so separating them slows that down. I started doing this and it totally works for me! It’s a minor pain because the bananas end up taking up more space in my very small kitchen, but no one in my house likes banana bread so I really hate letting bananas get too brown. Kristin! A better way to save bananas (I learned from my mother in law) is to separate all of them so they’re no longer touching. It’s because there’s some type of chemical in them, that when one starts to ripen it spreads to the other stalks; causing them to go bad faster. I’ve tried this and it has worked wonders! Ok…now I need to try that along with the cling wrap trick and a few control bananas. I’ll have to buy a super huge bunch! 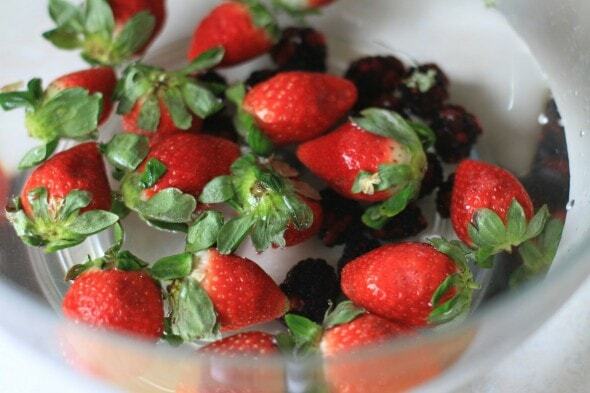 Another trick to make berries last longer is to plunge them in hot (120 degree) water for 30 seconds. Hot water comes out of my tap at 120 degrees, so no water heating required. This seems to kill any mold spores. But the vinegar soak seems pretty easy, too. As for the broccoli, I got a set of reusable fine mesh produce bags. I bought them because they were less expensive than nutsmilk bags and I use them for making coconut milk and almond milk at home (homemade nut milks are very frugal–I dehydrate the resulting pulp and use it as nut/coconut flour– and you can control the ingredients, BTW). I wonder if the mesh bags would work for broccoli? The purchased ones are probably too small for a big head of broccoli–but they can be easily made with a sewing machine (which is what I should have done in the first place to be perfectly frugal–sigh). Unfortunately, when I’ve stored broccoli in mesh bags, it gets kind of wilty. Like rubbery almost? I realize this is an older post but I thought you might like to hear my broccoli saving method. When you bring it home from the store cut off a sliver from the end and store it with that end down in a few inches of water. 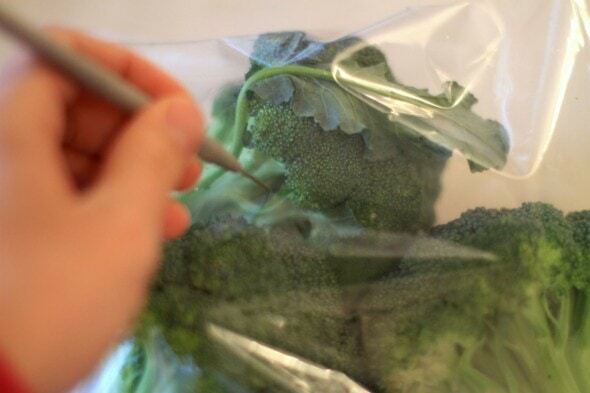 Put a plastic bag over the broccoli and the container the end is in, and pop it into the fridge. That’s it. It stays beautifully crisp and hard, and it takes much, much longer to go bad.